As of June 2017, I have the honor of serving as the 6th president, following Dr. Makoto Kawashima, former president. 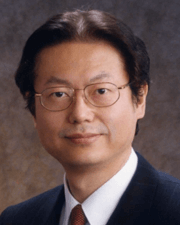 JCSS was founded in 1976 by Dr. Toshiaki Yasuda, the first president, to create a scientific discussion forum for cosmetics and related medical problems. Since then, we have been conducting a wide range of activities, including discussions on assuring of cosmetics safety, the structure and function of skin, design of guidelines for evaluation cosmetic functions aiming at acquiring novel efficacy claim. Meanwhile, my own fields of research expertise are dermatopathology, immunoelectron microscopy and bullous dermatosis. In recent years I have also been involved in planning the dermatology specialist program. After my assignment to Toho University, I became involved in contact allergy tests and its academic reports. As it was the period of safety issues, regarding hydrolyzed wheat and whitening agent, and the subsequent safety studies, that brought me to join JSCC. 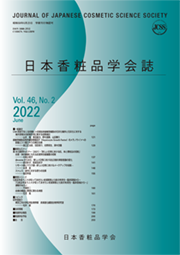 Proposals were made including a 10-year plan for a collaborative network of dermatologists, pharmacists, researchers and scientists in industry; ideas for assuring the usefulness and safety of cosmetics; evaluation methods; to actively seek and debate scientific knowledge; to give adequate recognition to the many stakeholders in the field of cosmetics (Consumers, Japan Cosmetic Industry Association, Government agencies, etc.) and to contribute as a trusted third-party. We are faced by a mountain of challenges, from assuring of product safety, to developing cosmetics with new efficacy claim, and establishment of research tools for doing so. We will need to hold discussions based on a broad perspective that covers industry, government and academia so the citizens of Japan can have confidence in cosmetic safety and efficacy. Especially, I would like to call for dermatologists to participate actively in JCSS. I am prepared to give all my efforts to expand JCSS. I would like to ask all of members your warm support and cooperation.